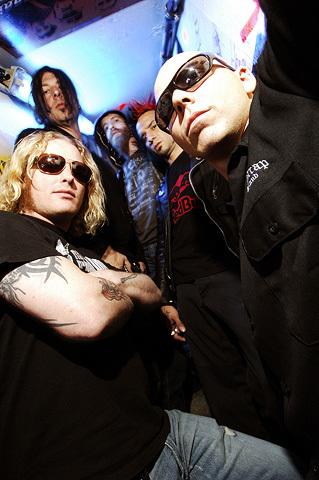 Portrait du groupe Stone Sour, Corey Taylor, James Root, Roy Mayorga, Josh Rand et Shawn Economaki. Paris. France.